Tis the season when we start to think about making homemade cranberry sauce. While most recipes call for a cup or more of sugar, the following recipe uses fresh ground dates as a sweetener. Dates may seem like an unusual sweetener but this naturally very sweet fruit is often referred to as “nature’s candy” which makes it the perfect ingredient to sweeten a cranberry sauce, relish, or chutney. 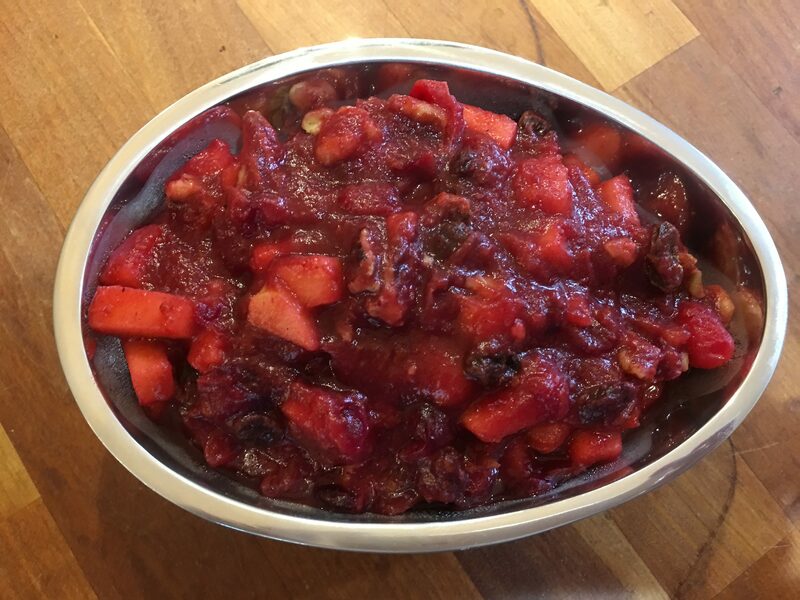 The recipe below was created by me and is an adaptation of a traditional cranberry chutney recipe I used for years. The original recipe called for 2-1/2 cups of sugar (OMG) but I “only” used 1 cup thinking that the lower amount of sugar made the recipe healthier. Well, in a way it was healthier (1 cup of sugar is always better than 2-1/2 cups of sugar) but years later when I started to figure out ways to sweeten foods with fruit, I realized that our choice in foods always comes down to a missed opportunity to nourish ourselves with healthier choices. Less sugar is better than more sugar but any kind of fruit is always better than added sugar. Hence, my preference to use dates as a sweetener. 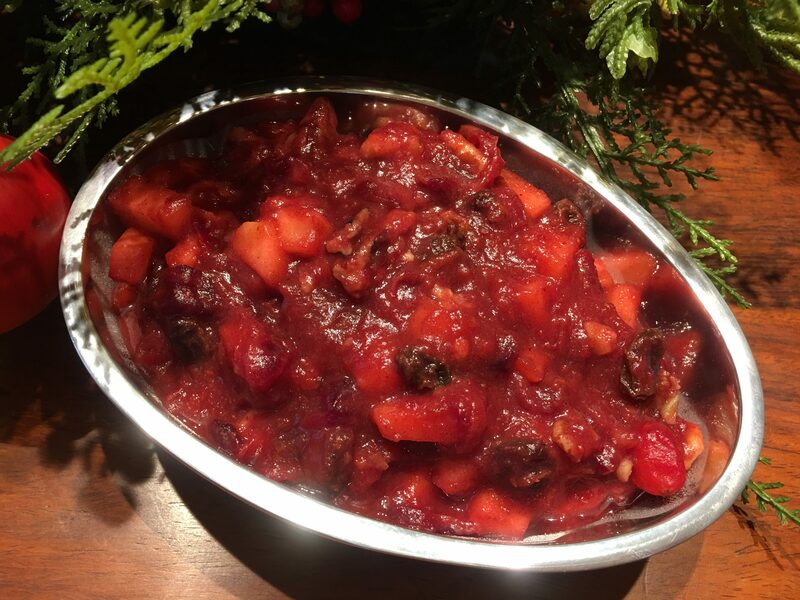 Chunky Cranberry Chutney is both sweet and tangy and super chunky. 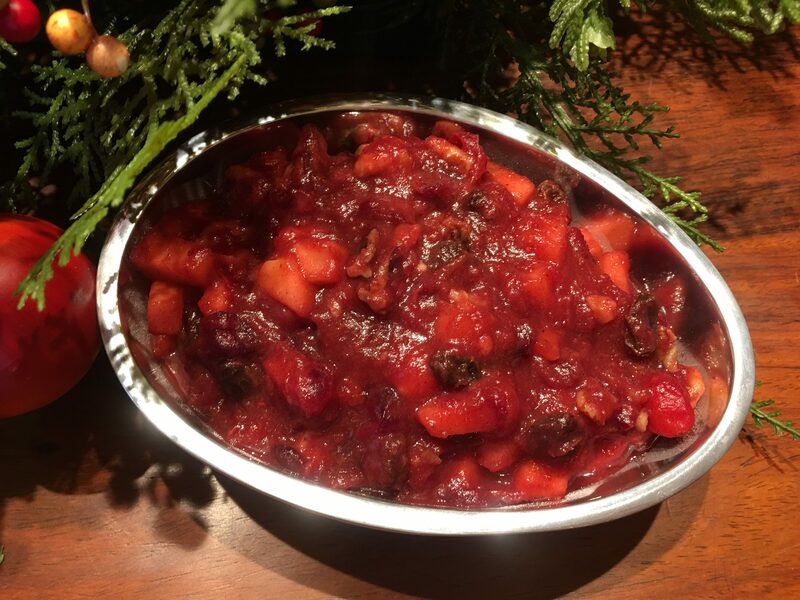 Made with fresh cranberries, diced apples, raisins, dates, an orange, nuts and spices, this delicious side dish is everything a cranberry sauce should be: a cornucopia of flavors and textures. An added note: I prefer my cranberry sauce more tangy than sweet so I use 6 ounces of dates. If you prefer a sweeter sauce, use 8 ounces of pitted dates. 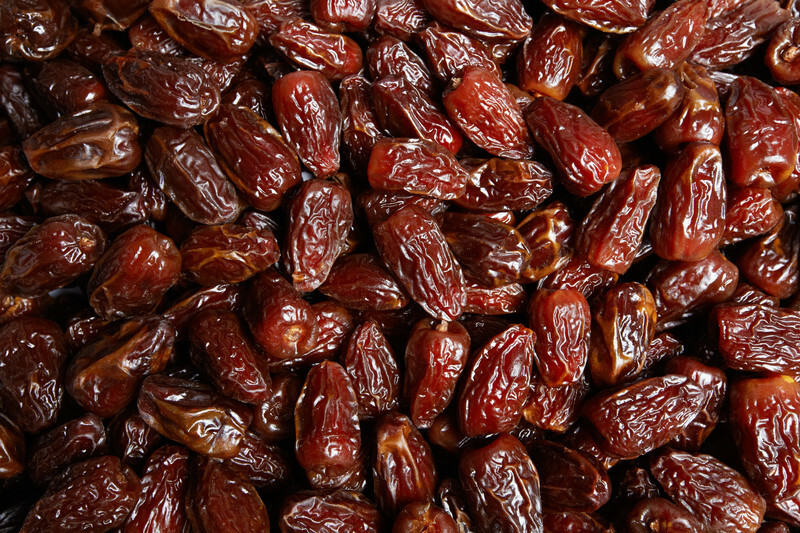 Place the pitted dates in a shallow bowl and cover with 1 cup of water. Let sit for at least 15 minutes. Place the fresh cranberries and a cup of water in a large pot and bring to a boil. Lower the heat to a simmer and cook for 10 minutes. 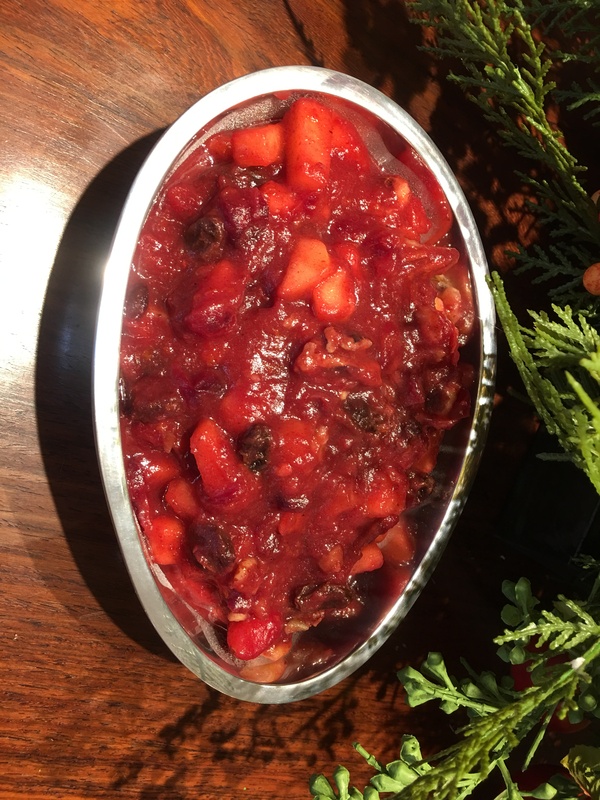 While the cranberry sauce is cooking, transfer the dates and water to a blender and blend until smooth (the mixture will look like a thick paste). Add the date paste mixture, raisins, apple pieces, cinnamon, nutmeg, and cloves and gently simmer for 8-10 minutes until the apples are cooked but still firm. The sauce will start to thicken so stir every few minutes. Add the zest of the orange. Cut the remainder ski off the orange and cut the orange in half. Put one of the orange pieces in a juice press and squeeze the juice into the chutney. Repeat with the other half of the orange. Stir and cook for 1 minute to blend. Remove the pot from the heat. Add the nuts, if using and stir to blend. 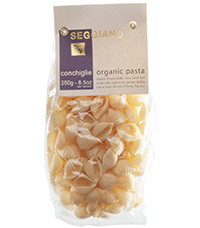 Transfer to a serving bowl or allow to cool and then refrigerate in an air tight container. The chutney keeps for several weeks although it never lasts more than a week in my house.